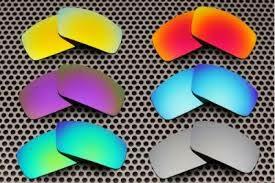 Different lens materials will absorb tints and coating with variable rates of success. The material’s polymer dictates how well or poorly a tint or other coating will penetrate. The following lens tinting tips and tricks will help guide you towards both matching the best tint with lens material as well as be able to better educate your patients on how a given tint can be expected to perform on a given lens material. -The most difficult lens material to properly tint. -Most tints use a carbon molecule that binds to a carbon molecule in plastic (CR-39) for its adhesion and stability. Polycarbonate chemical structure makes it resistant to this carbon binding. -The best way to tint polycarbonate is to tint it’s scratch coating, however historically the best scratch coats have been resistant to tinting. -To overcome these limitations, manufacturing labs have recently developed scratch coats better able to absorb tints. However, in general, the best hard coat scratch protectors (necessary for the best polycarbonate lenses scratch protection given poly’s inherently soft and scratch prone nature) still make tinting polycarbonate more challenging than other materials. -Always be sure the lens pairs being tinted are from the same manufacturer and same batch to insure consistent tinting. -Wider range of tinting colors and darkness levels than Polycarbonate offers due to its chemical carbon make up binding to tints more easily. -Uncoated CR39 is the most porous of lens materials, making it easier to get a darker tint than other materials. -Hard coated CR39 is still easier to tint than polycarbonate since the hard coat does not need to be as dense. This is due to CR39’s being naturally less prone to scratching than Poly. -Trivex is easy to tint, but since it’s material is not very porous the tint will not penetrate very deep. Therefore harsh cleaners such as alcohol will fade the tint over time. Therefore using a tintable hard coat may be the most stable method for tinting Trivex. -Readily able to be tinted, however prepare for the process to take on the order of hours to complete. A tint that CR39 requires 10 minutes to complete may take a high index lens 3-4 hours to achieve the same outcome. -Regardless of the material, lenses from different manufactures may tint differently depending on their processing and curing techniques. Even if from the same manufacturer, different batches of the same material may even tint slightly differently. So if replacing just one sunglass lens for a patient, be sure to educate them that the tint may not be a perfect match with the fellow lens. -Be sure to completely clean a lens using lens soap prior to tinting. Oils, dust, or other impurities will affect the uniformity of the tint. -UV coating should be applied prior to any color tinting. This will prevent the tint color from fading. -For lenses which you know have been previously hard or scratch coated, you will want to check with the lens manufacturer for their recommended tinting method. Some manufactures hard coatings will accept color and others will not, some manufacture coatings require a lower tint bath temperature or longer tint times. It is always our recommendation to check with the manufacturer first to avoid a tinting misadventure. -All other lens treatments such as tinting, UV treatments, and edge polishing must be done before an AR coat is applied. Tints should be done about 5-10% darker than intended prior to AR coating applications since the AR coating process will reduce the tint by about 5-10%. -For gradient tints, if you are experiencing a sharp demarcation between the lighter and darker areas, instead of a smooth transition, your tint bath is likely to hot. -In general the hotter the tint bath the faster the lens will tint, however there are limits. Get the tint to hot and the color will decompose. Be sure to read the package insert for the color being used for recommended temperatures. Although color packets are available for nearly any color under the sun, your lab likely will not want to empty a tint bath to make room for a new color every time a new color is needed. Therefore, the tint bath wells will likely each contain one of the three primary colors… Blue, red, and yellow and maybe one for black given its popularity for tint color. From these colors alone almost any other color can be created using the following combinations.